Today I decided to do another post for the 31 Day Nail Art Challenge I did for MoYou London a while ago. If you follow me on Instagram you know about all the posts and the winner has been announced ages ago. I wanted to make sure I got up all the blog posts that corresponded as well but it's been a bit of slow going. The prompt for the 21st day was Fashion. 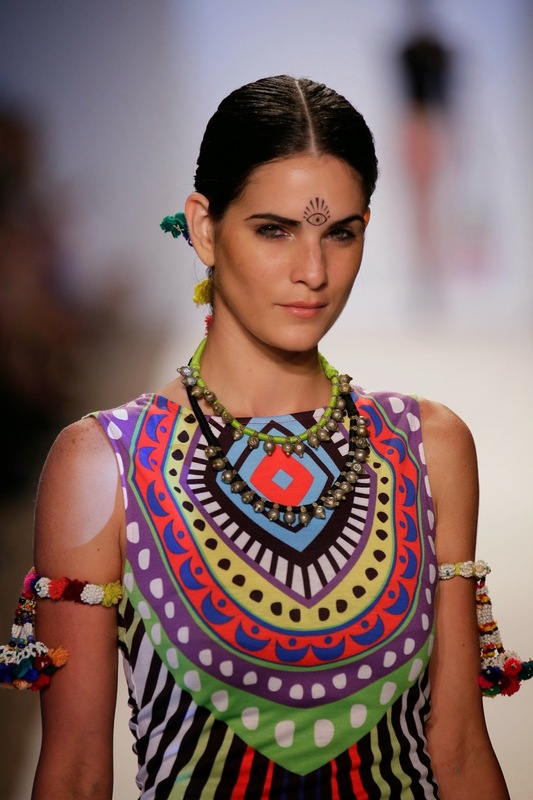 I chose to use designs and patterns by the tribal and pattern loving designer Mara Hoffman. When I look back at this manicure I actually see it as a failure. I had less than an hour to complete this look and it really shows. It was rushed and not as neat as I normally like my nail art to look. I also feel like the colors didn't hit together quite the way I wanted them too. However, I'm super grateful that I did this challenge. Even from 3 months ago I can really see how much my nail art has improved. These days I could probably whip up that same mani in less than an hour and execute it flawlessly. So in short while I made a lot of errors going through this competition my photography skills and art skills improved by leaps and bounds which is awesome!